The understanding and practical follow-through of the modern-day Pentecostal Movement for social justice has never quite reached its fullness, and it never will - unless we do something about it! We are doing just that! Pentecostalism is making a definitive move in the right direction. Perhaps not so much in what we call «the Apostolic Movement», where the tendency - sadly - still largely seems to be on wealth for the affluent - for «me». We love to do meaningful acts of goodness to help the poor and needy, and we will gladly speak for the oppressed and persecuted. However, we need to expand our territories and implementations into the real world that challenges and brings change, otherwise our acts will only be tokens. Europe today is flooded by undocumented migrants, whether converts to Christ, or not, that demand our full attention. Families are being broken down by evil governmental systems that dehumanize family relationships. Poverty is deepening the racial and cultural divides of France, Germany, Sweden & more nations. Children and women are being trafficked and grossly abused by evil systems and people. 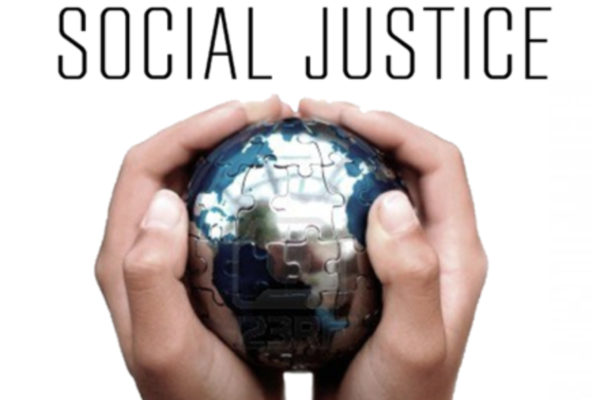 It is a sine qua non for us to think through and verbalize our convictions on social justice. Let there be no confusion, though, about the pre-eminence of the salvation of every individual by personal faith in the Cross of Jesus Christ, our Savior and Lord. He is the only Way to God the Father. In all our modernity of cool expressions of ministry in the 21st Century, let there be no confusion that the Church and the Family are God´s primary vehicles on Planet Earth to reveal His nature and fulfill His plans for humanity. However, based on His Creation Mandate, God also uses business, the workplace, schools, political institutions and societal initiatives to fulfill the earth. We are called to build a just society and live lives of holiness amidst the challenges of modern society. I have drawn heavily on documents from the Conference of Catholic Bishops. Even though our paths were separated by the crucial issues of the Protestant Reformation, I have found much common ground with the Vatican on social issues. Let us proclaim that human life is sacred and that the dignity of the human person is the foundation of a moral vision for society. In our society, human life is under direct attack from abortion and euthanasia. The value of human life is being threatened by cloning, embryonic stem cell research, and the use of the death penalty. The intentional targeting of civilians in war or terrorist attacks is always wrong. We need to work to avoid war. Nations must protect the right to life by finding increasingly effective ways to prevent conflicts and resolve them by peaceful means. We believe that every person is precious, that people are more important than things, and that the measure of every institution is whether it threatens or enhances the life and dignity of the human person. Human dignity can be protected and a healthy community can be achieved only if human rights are protected and responsibilities are met. Therefore, every person has a fundamental right to life and a right to those things required for human decency. Corresponding to these rights are duties and responsibilities--to one another, to our families, and to the larger society. A basic moral test is how our most vulnerable members are faring. In a society marred by deepening divisions between rich and poor, we recall the story of the Last Judgment (Mt 25:31-46), showing that we need to put the needs of the poor and vulnerable first. The economy must serve people, not the other way around. Work is more than a way to make a living; it is a form of continuing participation in God´s creation. If the dignity of work is to be protected, then the basic rights of workers must be respected--the right to productive work, to decent and fair wages, to the organization and joining of unions, to private property, and to economic initiative. We are one human family whatever our national, racial, ethnic, economic, and ideological differences. We are our brothers and sisters keepers, wherever they may be. Loving our neighbor has global dimensions in a shrinking world. At the core of the virtue of solidarity is the pursuit of justice and peace. Pope Paul VI in «For the Celebration of the Day of Peace» (Rome: January 1, 1972) taught that if you want peace, work for justice. The Gospel calls us to be peacemakers. Our love for all our sisters and brothers demands that we promote peace in a world surrounded by violence and conflict. We show our respect for the Creator by our stewardship of creation. Care for the earth is not just an Earth Day slogan, it is a requirement of our faith. We are called to protect people and the planet, living our faith in relationship with all of God´s creation. This environmental challenge has fundamental moral and ethical dimensions that cannot be ignored.